If you lived in Graham Lees during 2000-2001, you are all too familiar with Snood-- the biggest time drain of our freshman year. 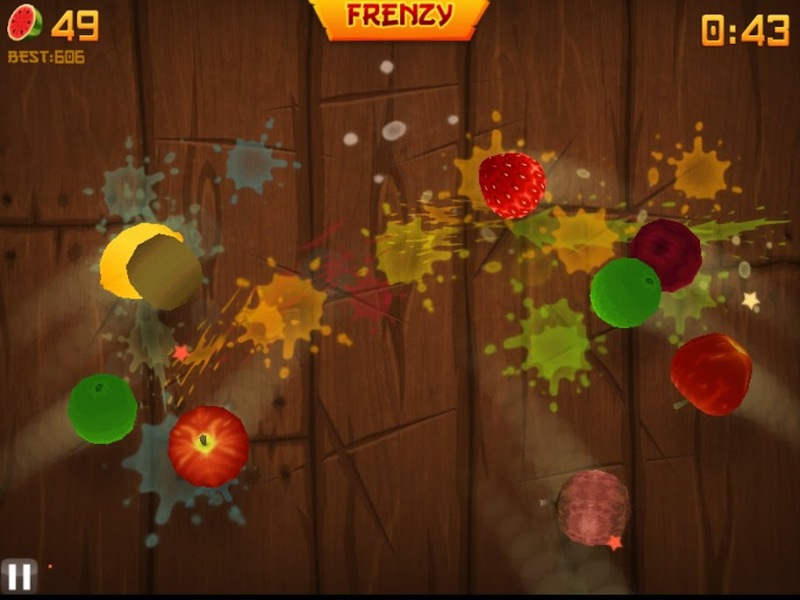 Now let me introduce you to Fruit Ninja. I know, I know, why in the world would you want to spend your time hacking fruit with your sword (even if it is the disco sword)? Well, don't knock it until you've tried it. Even Andy, who doesn't like computer/video games has been sucked in as evidenced by him oh so sweetly showing off his record breaking score (btw, I'd be remiss not to mention that he has since topped that). Thanks to Lindsay and Stef for introducing me to this. I will never get back this time. 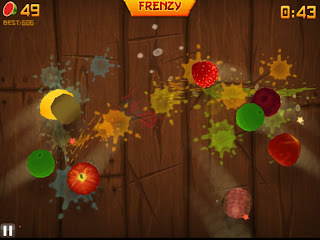 So join me, and go out and Fruit Ninja!! And no, I'm not being compensated for mentioning this little game. Would be nice though! PS - I hate to mention this (Amelia) but when I googled Snood for an image I saw that you can still download the game and it is now available on the iPhone. 3 comments on "The Next Generation of Snood"
And I would have included a picture of you playing fruit ninja on the beach as well had I received it before posting!